(PB releases May 8) Marzano-Lesnevich has written an intriguing combination of a true crime story and a memoir. Startled by her reaction to a murder case in Louisiana, she starts to examine the secrets of her own childhood while simultaneously trying to learn as much as she can about the murderer and his history. A fascinating read. Before Alexandria Marzano-Lesnevich begins a summer job at a law firm in Louisiana, working to help defend men accused of murder, she thinks her position is clear. The child of two lawyers, she is staunchly anti-death penalty. But the moment convicted murderer Ricky Langley’s face flashes on the screen as she reviews old tapes—the moment she hears him speak of his crimes -- she is overcome with the feeling of wanting him to die. Shocked by her reaction, she digs deeper and deeper into the case. Despite their vastly different circumstances, something in his story is unsettlingly, uncannily familiar. Alexandria Marzano-Lesnevich is a 2014 National Endowment for the Arts fellow, an award given for her work on The Fact of a Body. She has received a Rona Jaffe Award and fellowships to the MacDowell Colony and Yaddo. Her essays appear in the New York Times, Oxford American, and the anthology Waveform: Twenty-first Century Essays by Women. She lives in Boston, where she teaches at Grub Street and in the graduate public policy program at Harvard's Kennedy School of Government. 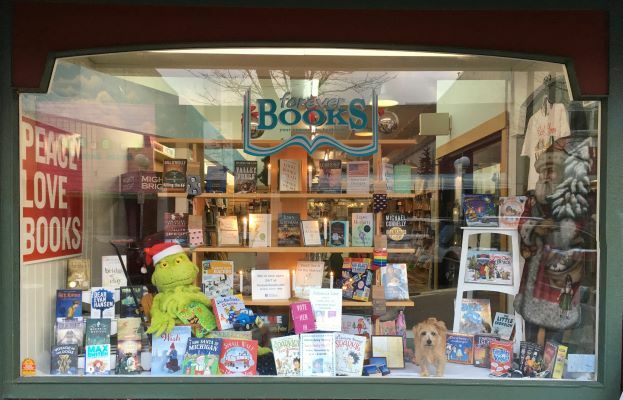 "This book is a marvel. With unflinching precision and immense compassion, Alexandria Marzano-Lesnevich peels apart both a murder case and her own experience to reveal how we try to make sense of the past. The Fact of a Body is equal parts gripping and haunting and will leave you questioning whether any one story can hold the full truth." 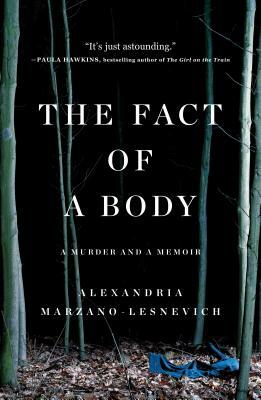 "The Fact of a Body is unlike any murder story I've ever read, a masterpiece of both reportage and memoir, a book that could only be written by an author with Alexandria Marzano-Lesnevich's staggering gifts: a relentless reporter with a law degree from Harvard, a poet's understanding of the cadence of a line, and a novelist's gift for empathy. Walter Benjamin famously said that all great works of art either dissolve a genre or invent one. This book does both, and its greatness is undeniable." "The Fact of a Body is remarkable act of witness, an anatomy of silence and the violence it abets, a book of both public and private accountings. Rejecting the false comfort of certainty, it confronts the inadequacy of all our tools for fathoming not just unforgivable crimes, but the baffling, human grace that can forgive them. This is a profound and riveting book." "The balancing act here performed between autobiography and journalism, documentary and imagination, witnessing and reckoning, the tender and the terrible, is shrewd and graceful. In the hands of a lesser human or writer, it could have all fallen apart; instead, Alexandria Marzano-Lesnevich has given us an exquisite and exquisitely difficult work of art that makes a fierce claim on our attention, conscience, and heart." "Haunting...impeccably researched...Her writing is remarkably evocative and taut with suspense, with a level of nuance that sets this effort apart from other true crime accounts." "Compulsive, eloquent and profoundly troubling. One of those rare books which embrace the genuine complexity of life."